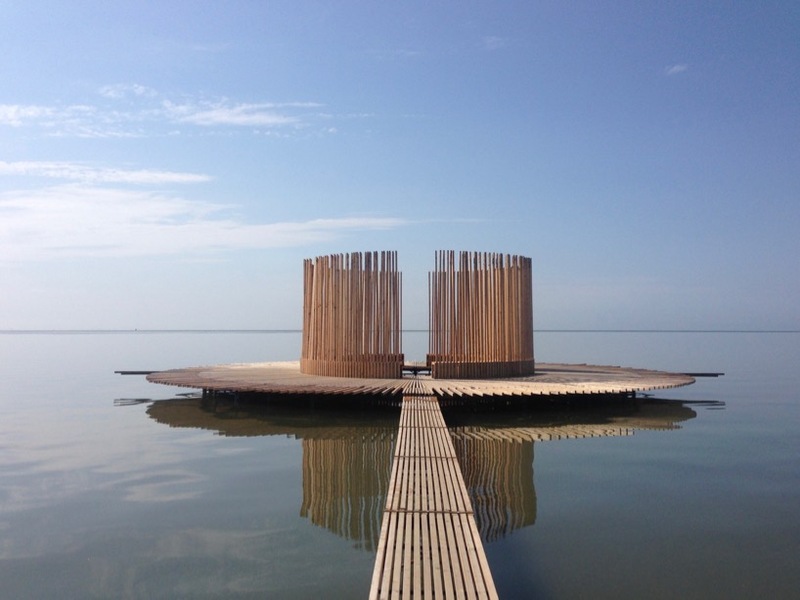 Artist Marc van Vliet is the creator of Drie Streken – or ‘Three Zones’, featured in the Oerol Festival, 2016. 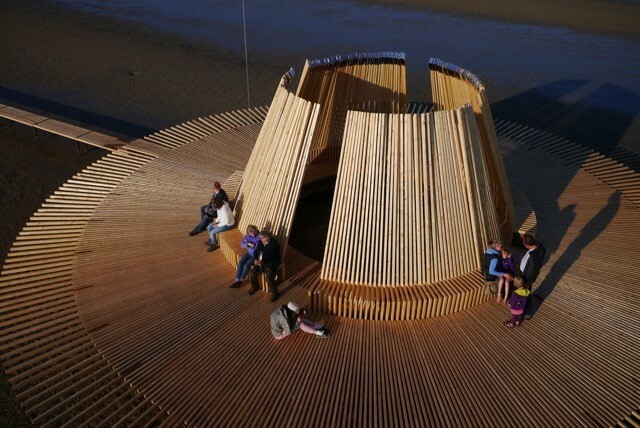 It is a floating, wooden observatory in the Dutch flatlands, in the north of the Netherlands. 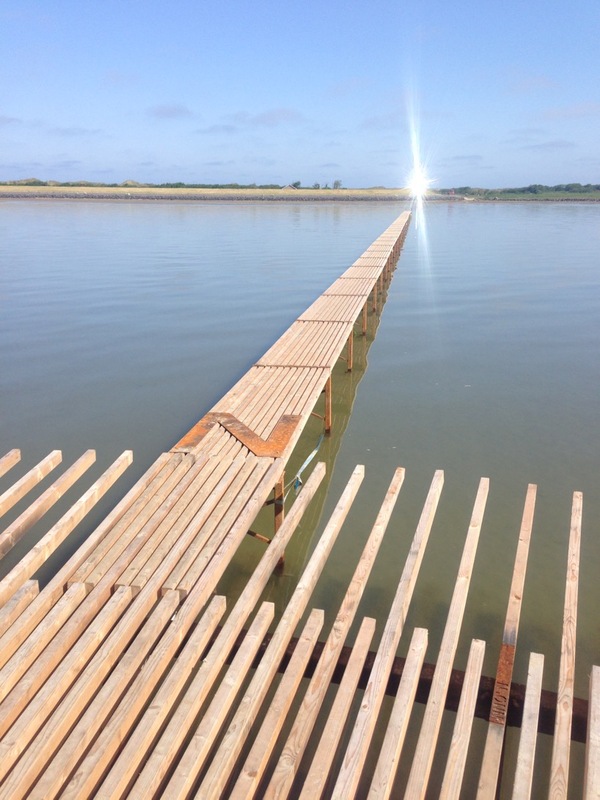 Placed at the meeting of compass points which are illuminated by the passage of the sun, it is an observation post reached via a long wooden platform. 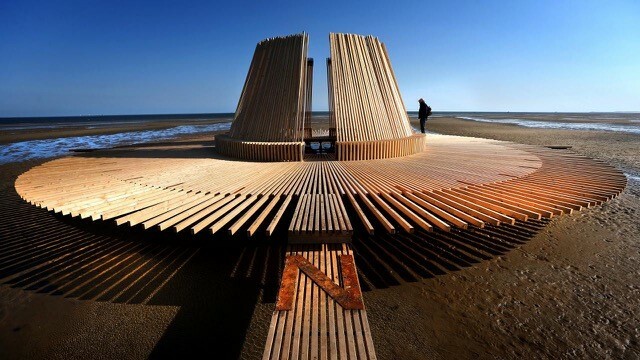 The structure was designed to be placed in different parts of the flatlands of the Frisian coast, over four years and to be viewed in the context of ‘Sense of Place’ – a celebration of the vast expanse of the Northern flatlands. 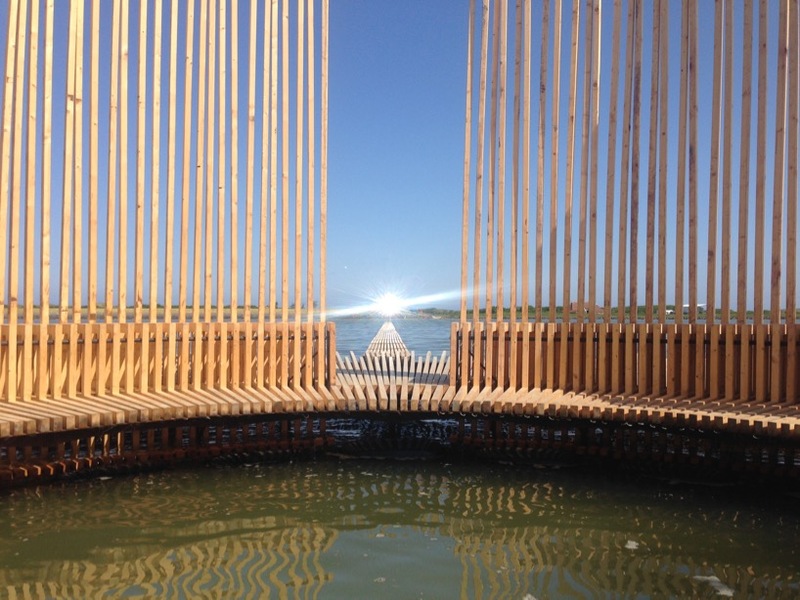 The traveling installation will culminate with the ‘Leeuwarden 2018’ festival – commemorating the naming of Leeuwarden, Netherlands as the European Capital of Culture. 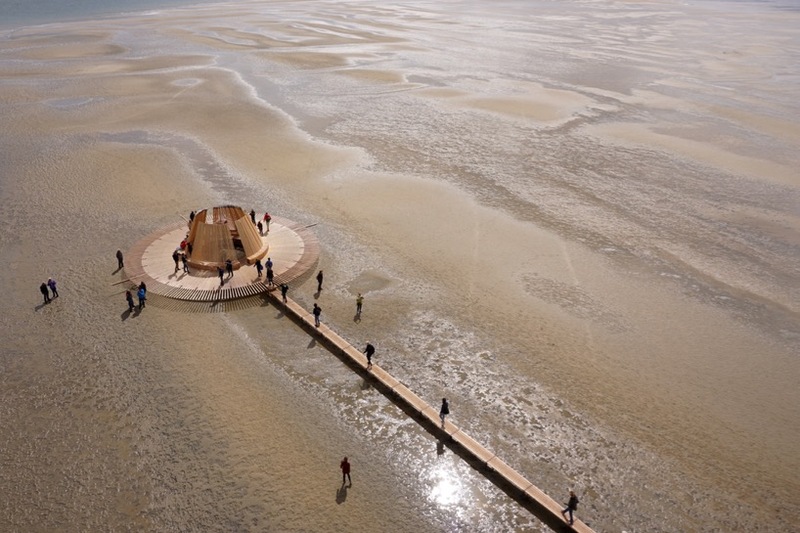 During low tide, the installation is a tranquil spot on the sands of the flats and during high tide, it is located right on the water. 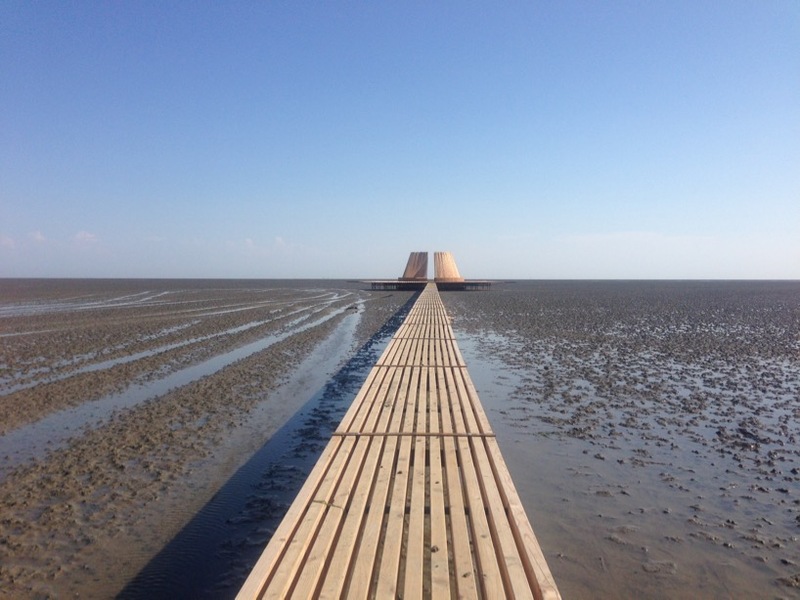 The approach to the installation reveals its sharp silhouette on the horizon, in a system involving the sun, the tide and the landscape. As the day progresses, the sun reveals differing aspects of the sand flatlands landscape. “Over the course of history, structures have been erected in different parts of the world in order to observe and celebrate the moment when the sun stands still.” Marc van Vliet. 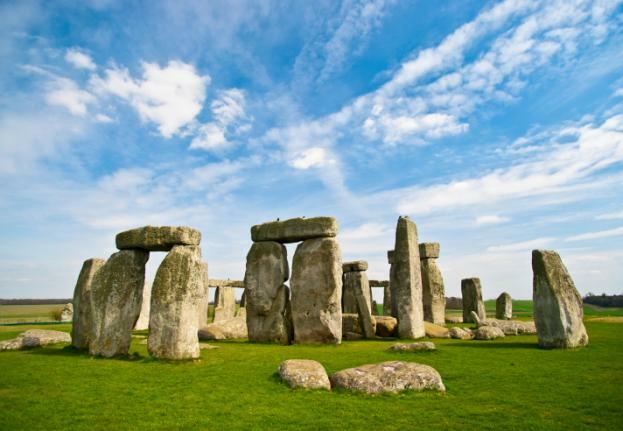 One of the most famous prehistoric monuments in the world, Stonehenge in Glastonbury, UK is around 5,000 years old – predating the Egyptian pyramids. It is positioned to align with the rising and setting of the sun at different times in the annual calendar: it was possibly built as an astronomical observatory to mark the winter solstice. For its first incarnation in 2014, it was named ‘Zeven Streken’/Seven Zones (pictured above and below). 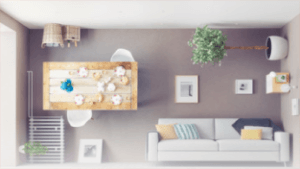 Positioned at the meeting of 7 compass points, it took advantage of the passage of the sun and the moon to create many differing vistas, aspects and sensations.